← I’m back, sort of…..
Well, a sore throat/cold is not the thing to have when teaching the first session of my Sacred Heart School/Computer Aid exploratory class for Eighth graders. I was quite concerned about not getting through it. I wanted to lean on Hector, my assistant instructor, a bit more but Hector missed the first session last year and doesn’t have the intimate knowledge of the subject like I do. We started with the addition of 2 students. Another instructor was not available so several of us picked up students from his class. I bet they were surprised to move from “wireless Technology” to “Australia: The Dreamtime and Boomerangs”. Fortunately they could get involved in most of the first class without feeling out of place. We started with an overview presentation on what would be learned over the next eight weeks. From there we moved to a presentation on what the Dreaming or Dreamtime is and how it came to being. Having been through two presentations we moved on to exhibits. I had brought quite a few various aboriginal pieces. 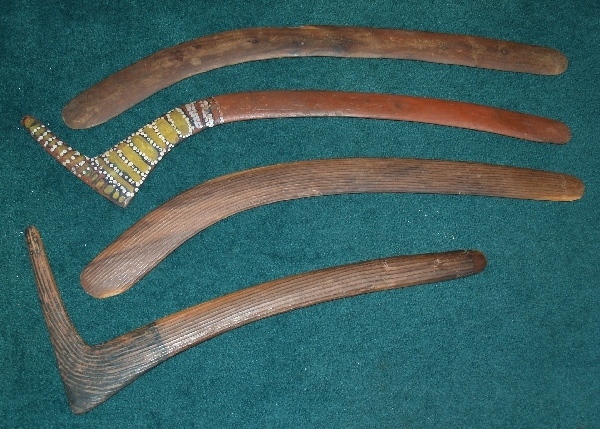 I had didgeridoos, bull roarers, clap stick, a nulla nulla and a number of both kylies and boomerangs. I think it was fun to let them pass the items around, to hold and touch each item. It made the experience more personal for them. I was pleased that the students had many questions. One student asked about boomerang competitions so I moved on to modern boomerangs. I had a bunch of boomerangs and realized I could have brought more. The students were very interested in the various shapes and were surprised that they all returned. Of particular interest were the bat boomerangs made by former Sacred Heart student Ian Guldner. Ian went on to high school and is now a college senior. His boomerangs were made as part of class project in high school. He entered them in the USBA National contest and won. 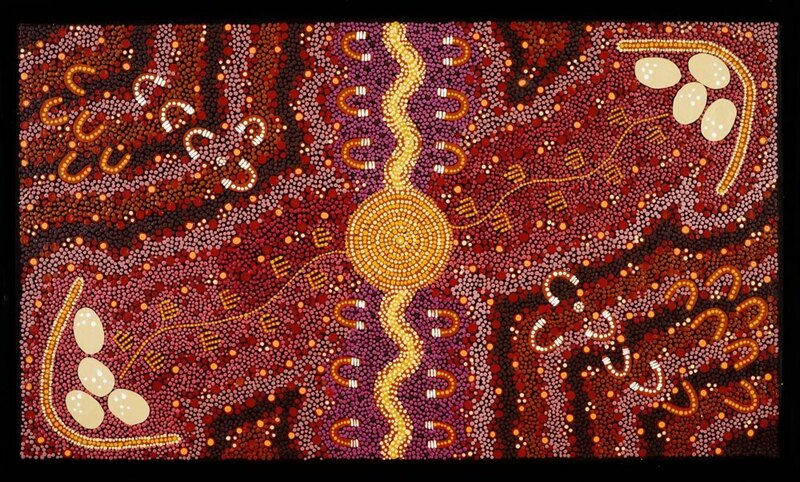 We had to move on so I began the presentation on Aboriginal art. We reviewed the symbols used and what they represented. Then we viewed a number of photographs of Aboriginal art and tried to figure out what was on them. I also brought it a few pieces of art which I own so the students could get a close up look. With that we were running out of time so had to stop for the day, I think the extra two students are going to miss us next week when they go to their assigned class.